What do you get when you mix laid-back beach culture and southern hospitality? The coastal city of Galveston offers 32 miles of relaxing beaches, incredible entertainment and one of the most well-preserved concentrations of Victorian architecture in the country. Moody Gardens, an educational tourist destination features three main pyramid attractions. The Aquarium, Rainforest and Discovery pyramids provide you with the opportunity to explore, enjoy and embark on world culture. Perhaps you would prefer to soak up the sun or join in on aquatic activities at Stewart Beach, Galveston’s premier family beach park. Galveston is home to one of the finest collections of architecture in the United States. Touring the grand mansions lining an upscale district of historic homes in the coastal city offers one of the more compelling collections of Victorian architecture. 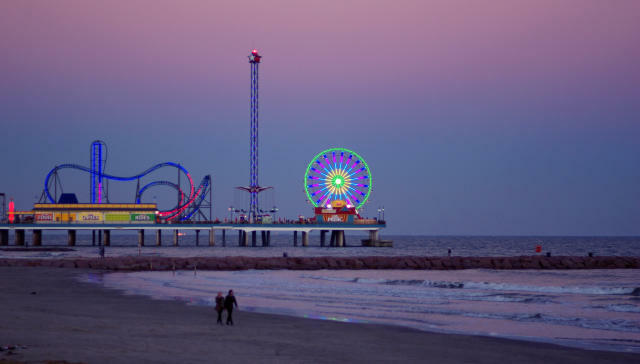 Whether your family enjoys being on the beach, splashing at a water park or taking in the historic sights Galveston has your whole family and long weekend covered.